Very private setting in The Falls 55+ active adult community. Great room plan featuring three bedrooms and a den/bar with built-ins. Gourmet kitchen with slab quartz countertops, GE profile induction cooktop range, cabinets with pull-outs, no-touch faucet, and updated custom lighting. Gorgeous laminate flooring, black-out shades, updated lighting, and surround sound. Garage with new epoxy coating . Expansive paver patio with gas fire pit and self-filling water feature. Meticulously maintained landscaping with electric pet fence installed. Envision yourself in this beautiful home situated in a quiet setting at the end of a cul-de-sac located in the highly desired Eagle Crest Resort. Enjoy golf, swimming, tennis, pickle-ball, and miles of trails for hiking and biking. Listing provided courtesy of Eagle Crest Properties Inc. I was searching for a Property and found this listing (MLS #201811459). 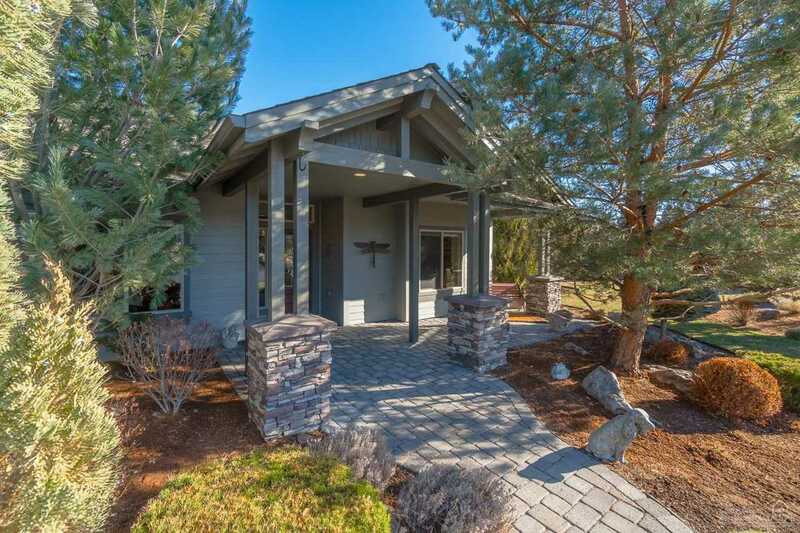 I would like to schedule a showing for 834 Ribbon Falls Road Redmond, OR 97756. Thank you! I was searching for a Property and found this listing (MLS #201811459). Please send me more information regarding 834 Ribbon Falls Road Redmond, OR 97756. Thank you! The content relating to real estate for sale on this website comes in part from the MLS of Central Oregon. Real Estate listings held by Brokerages other than Eagle Crest Properties are marked with the Reciprocity/IDX logo, and detailed information about these properties includes the name of the listing brokerage. © MLS of Central Oregon (MLSCO). This content last updated on 4/18/2019 2:34 AM PST. Some properties which appear for sale on this website may subsequently have sold or may no longer be available. All information provided is deemed reliable but not guaranteed and should be independently verified. All content displayed on this website is restricted to personal, non-commercial use, and only for ascertaining information regarding real property for sale. The consumer will not copy, retransmit nor redistribute any of the content from this website. The consumer is reminded that all listing content provided by automatic transmission by MLSCO is © MLS of Central Oregon (MLSCO). Properties offered by Eagle Crest Properties, Redmond, Oregon. All Brokers with Eagle Crest Properties are licensed in the state of Oregon. Obtain the Property Report required by Federal law and read it before signing anything. No federal agency has judged the merits or value, if any, of this property. Prices subject to change. Eagle Crest is a registered trademark of Oregon Resorts, LLC, Delaware, USA.